and make your throne firm through all generations’” (NIV). The bestselling children’s book Love You Forever was birthed from that heart-wrenching experience. If you are a parent or a grandparent, this little picture book should come with a warning label: Impossible to read without tearing up. There’s an element of forever in the bond between a parent and a child. I am a father forever to my two sons, Timothy and Joshua. My love for those two boys hasn’t diminished as they have grown into young men. Though they have moved out of our home, they will be forever loved and we will be forever linked by love and faithfulness. God’s love for us is that kind of love. It’s a forever love just as the psalmist declares. I will sing of the LORD’s great love forever; with my mouth I will make your faithfulness known through all generations. Love and faithfulness are what marriage is all about. It’s one of those forever things along with parenthood. When God is at the center, these things last forever because they don’t end at the grave. I’m so glad we have the promise that they will continue on. Response: LORD God, I am so glad that I’m your child forever. You have loved me and welcomed me into your family. Thank you. Thank you. Thank you! Amen. Your Turn: Will you sing of the LORD’s great love forever? Now is a great time to get started. Awake, LORD! Why do you sleep? Rise up and help us; rescue us because of your unfailing love (NIV). As previously noted, Psalm 44 begins in a very positive fashion as the psalmist recalls the goodness of the LORD and the great victories Israel has won because of the LORD’s help. But that is not the present reality. The present reality is filled with defeat, death and destruction. The psalmist moves from rejoicing over past victories to lamenting over present-day tribulations. Hear his words of anguish: Yet for your sake we face death all day long; we are considered as sheep to be slaughtered. What do you do in the midst of defeat? Do you put on a brave face and pretend all is going well? There may be occasions when putting on a brave face is warranted, even necessary—but inside, when we are alone with our thoughts we question why God would allow such things. Why would God allow a child to die? Why would He allow a natural disaster like an earthquake to claim countless innocent lives? Normally, these life-shattering matters don’t come with pat answers in tow. We are left in a state of grief and bewilderment. Often believers see such events as retribution for sins committed against a holy God. But note the psalmist’s complaint: All this came upon us, though we had not forgotten you; we had not been false to your covenant. Our hearts had not turned back; our feet had not strayed from your path. The brutal truth is bad things happen to good people. Sometimes Christians are martyred on a beach in Libya. Sometimes a cruel disease hems us in on every side and there is no escape, aside from death and heaven’s door. Sometimes all we can do is pour out our complaint before a God of unfailing love. Response: LORD God, when life is hard, help me to remember to bring my complaints and travails to you. You are bigger than any agony or grief I may face. I call out to you, my Savior and my God. Amen. Your Turn: In your opinion has God been unfair to you? How do you respond? and plot to take my life (NIV). How often do you find yourself crying out for mercy as David does at the start of this psalm portion? I confess daily I need God’s mercy. Be merciful to me, LORD, for I am in distress; my eyes grow weak with sorrow, my soul and body with grief. The desperate cry for help is a recurring theme throughout the psalms. While there is plenty of rejoicing and we find ample helpings of praise for the LORD throughout the Book of Psalms, we also find time after time David and the other writers of the psalms calling out to God for mercy. It is as though David has stumbled into a dry well and has no one to rescue him. Only God can help. Only God will listen. Is that where you find yourself? But David’s sense of abandonment plums even greater depths. Not only does David feel the sting of rejection, he also feels totally worthless. In his despair he cries, “I have become like broken pottery.” It appears as though he has lost all sense of meaning and purpose to his life. He is abandoned, useless and worthless. Is that where you find yourself? Then do as David did. Pour out your complaint to God. Call out to Him. He is listening. He cares and He answers. The LORD has not changed. Response: LORD God, have mercy on me. Come to my aid. When I stumble and fall into the dry well of despair, please come to my rescue. Help me see Jesus peering down at me. Loving Jesus, extend your hand of help. Amen. Your Turn: Reflect on how God has helped you in the past. Has he pulled you out of a pit? Why, LORD, do you reject me and hide your face from me? darkness is my closest friend (NIV). Psalm 88 is the darkest of all the psalms. Many of the psalms are bright and cheery, filled with joy and praise. If I were to assign a color to them, I would paint them bright yellow, dappled with hues of orange and red. On the other hand, Psalm 88 draws from a much darker palette of black, grey and brown. This psalm is colored by loss, rejection and sorrow. Many psalms spring from a place of grief, trouble and distress. This is only fitting since every life has such moments. Usually the psalmist pours out his troubles and his complaint before God, but he ends on a positive note—a note of hope. But Psalm 88 does not follow this pattern. It ends on a downer. You have taken from me friend and neighbor—darkness is my closest friend. What are we to make of this ending? The sad reality is that not every book has a happy ending. Not every personal story has the Hollywood ending that we would like. Tragedy is real. Tragedy can strike anyone. We can live in a pretend world that says it isn’t so, but we are fooling only ourselves. 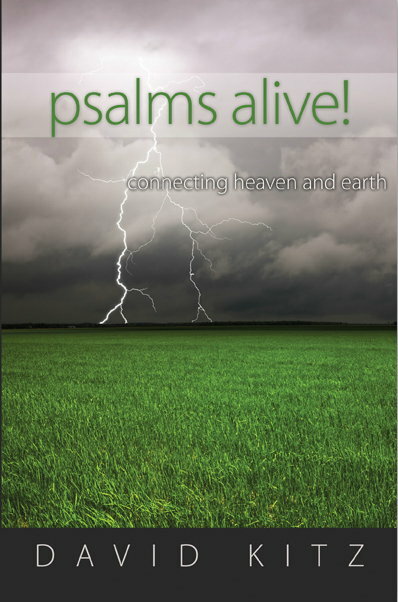 This psalm adds a dark note of real-life integrity to the Book of Psalms. But in the middle of it all—in the middle of his dark night of the soul—the psalmist takes his stand. But I cry to you for help, LORD; in the morning my prayer comes before you. Sometimes we don’t have answers. Sometimes all we have is prayer. Response: LORD God, when I am down, I cry to you for help. You are my hope when all hope is gone. Come to me in the dark times of my life. At such times I need you the most. Amen. Your Turn: Are you going through a dark time? Do you find help in prayer?